In 1912 Arthur Balfour suggested to the Fabian Society that it should have its own weekly journal. George Bernard Shaw agreed with the idea and promised to provide regular articles. Shaw also wrote to his various contacts in the theatrical world in an effort to gain subscribers for the proposed magazine. Beatrice Webb sent out letters to Fabian Society members and to those involved in her Poor Law campaign. These letters recruited over 2,000 people willing to become postal subscribers. Sidney Webb agreed to take overall charge of the venture and in December 1912 Clifford Sharp was appointed as editor. The first edition was called The Statesman but was changed to the New Statesman on its second issue to avoid confusion with the Indian newspaper of the same name. The journal received a hostile reception from the former Fabian, H. W. Massingham, the editor of the political weekly, The Nation. Massingham claimed that the New Statesman was "the Webbs flavoured with a little Shaw and padded with the contributions of a few cleverish but ignorant young men". David Alfred Thomas, a Liberal Party MP, was concerned about this new socialist magazine. However, his daughter, Margaret Haig Thomas, welcomed this new venture: "When in 1913 the New Statesman was born, I was enormously interested. My father too was interested. The New Statesman, he reported - not too pleased - was being taken in by an enormous number of Civil Servants; it was penetrating right through Whitehall. It was insensibly, subtly, gradually heading opinion towards Socialism, towards State Control - and, said he, what the Civil Service thought on a matter of that kind mattered more in the long run than what anyone else in the country thought. I listened open-eared. To mould the opinion, not of the large crowd, but of the keystone people, the people who in their turn would guide the crowd - what a fascinating thing to be able to do! Perhaps the most fascinating of all. I envied the New Statesman." In 1930 Kingsley Martin, a journalist on the Manchester Guardian, replaced Clifford Sharp as editor. John Maynard Keynes, who held a controlling interest in The Nation, shared Martin's political views and suggested an amalgamation of the two journals. Kingsley Martin was editor of the New Statesman & Nation for over thirty years and during this time he established it as Britain's leading intellectual weekly. Contributors to the journal after the arrival of Martin included J. A. Hobson, John Maynard Keynes, G. D. H. Cole, Ernst Toller, Leonard Woof, Virginia Woolf, and J. B. Priestley. 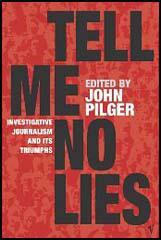 Other editors have included: John Freeman (1961-1965), Paul Johnson (1965–70), Richard Crossman (1970–72), Anthony Howard (1972–78), John Lloyd (1986–87), Stuart Weir (1987–91), Ian Hargreaves (1996–98), Peter Wilby (1998–2005) and John Kampfner (2005–2008). When in 1913 the New Statesman was born, I was enormously interested. My father too was interested. The New Statesman, he reported - not too pleased - was being taken in by an enormous number of Civil Servants; it was penetrating right through Whitehall. It was insensibly, subtly, gradually heading opinion towards Socialism, towards State Control - and, said he, what the Civil Service thought on a matter of that kind mattered more in the long run than what anyone else in the country thought. I listened open-eared. To mould the opinion, not of the large crowd, but of the keystone people, the people who in their turn would guide the crowd - what a fascinating thing to be able to do! Perhaps the most fascinating of all. I envied the New Statesman. (2) Kingsley Martin worked with Clifford Sharp, the editor of the New Statesman, in the 1920s. The Webbs, with their usual preference for ability rather than agreement of opinion, had appointed Clifford Sharp editor when they founded the New Statesman in 1913. He was an exceptionally able, but not an agreeable man. He had worked with them in their National Campaign for the Break-Up of the Poor Law, and he had been editor of the monthly journal, The Crusade. Leonard Woolf wrote many years afterwards that he had an affection for Clifford Sharp, but: "It was the kind of affection that one sometimes gets for an old, mangy, bad-tempered, slightly dangerous dog. One is rather proud of being among the few whom he will with a growl allow to pat him gingerly on the head." Clifford Sharp had been trained as an engineer, and it always seemed to me that he brought to human relations, to politics, to journalism, the attitude of the engineer, of a sanitary engineer or super-plumber. Temperamentally and fundamentally he was a Conservative of the Rule Britannia, Disraelian, 1878 vintage; but he was also, as the Webbs used to point out with quiet enjoyment, a collectivist. Indeed, collectivism - material or spiritual - were the only things Sharp believed in. The unending arguments about presentation, space and position in The Star became wearing. I had foreseen the possibilities of personal crisis about all this, so, as an insurance, I began to develop some footholds in quarters where I could place some better drawing: Punch, The Graphic and elsewhere. The portraits I had been working on so long were now coming up to the final stage. I had Robert Lynd introduce me to Clifford Sharp, the editor of The New Statesman, and I offered them to him for a first publication at a small fee on condition he agreed to do them as offset plate-stamped loose supplements. 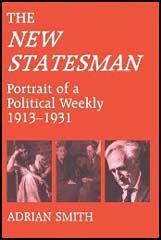 (5) Kingsley Martin was appointed editor of the New Statesman in 1930. Arnold Bennett was a director of the New Statesman and immensely proud of being a director of the Savoy Hotel as well. He was one of the very kindest of men, with a formidable stutter. He would begin a sentence and stop. If you looked at him you found yourself staring straight down his gullet. He gave a lunch party to the other directors at the Savoy, at the same time rather embarrassingly putting me through my paces. I said, rather too timidly, for I did not know his politics, that I should call myself a Socialist. "I should hope so," said Bennett, as if it would be disgraceful to be anything else. I was appointed editor only just before Arnold Bennett died, unexpectedly and I believe unnecessarily. I persuaded the board to appoint David Low in his place; that was the beginning of a long friendship. (6) Kingsley Martin, in his autobiography, Father Figures, described the amalgamation of the New Statesman and The Nation in 1930. I had also managed to get one or two stories into the New Statesman, and was elated when I won a competition with a £5 prize for a piece of literary criticism. My contribution was described as having 'a pleasant youthful impertinence free from the rather heavy solemnity which overcame most of the essayists who sat down to write about Literature'. Eagerly I went to see the editor, Kingsley Martin, who had not long been in the chair, hoping I should at least get a few books to review from time to time. He explained to me that they were not looking for writers, of whom they had quite enough already; what they were looking for was new readers, which the competition I had entered for was intended to attract. (8) After thirty years as editor of the New Statesman, Kingsley Martin described his contribution to the development of the journal. My own contribution, it seems to me looking back today, was first high spirits and second "a concern for fine and often unpopular causes". Clifford Sharp once said that the New Statesman should have an 'attitude' to public affairs rather than a 'policy'. That suited me. I was a political hybrid, a product of pacifist nonconformity, Cambridge scepticism, Manchester Guardian Liberalism, and London School of Economics Socialism. Always a poor man, I combined in myself many of the inconsistencies and conflicts of the period which long tried to reconcile pacifism with collective security, and a defence of individual liberty with the necessity of working with Communists against Fascists. I suppose my prime attitude was a dissenter's. A dissenter sees the world is bad and expresses his moral indignation. This was rather the Nation aspect of my training than the New Statesman part. Like Massingham, I tended to be angry. War was always the ultimate horror, and I could not bear to be silent about the sufferings of minorities and cruelty inflicted on individuals, even when the aggressors were my friends. At times the paper became more than anything else the voice of the minorities and a vehicle of protest. It also had a constructive, Socialist side. In general we supported the Left Wing of Labour. Our independence was infuriating to the leaders of the party. Politicians think in terms of votes, and do not understand that in the long run it is the climate of opinion that matters. Herbert Morrison, whom I backed wrongly as I realised later, against Attlee as leader of the party in 1935, was often very angry with me; he thought a Socialist paper ought to be putting the case for the Labour Party without reservation and bringing people along to the polls. He didn't see that it was the teachers and preachers of all types who as a result of steady reading of the paper were converted to Socialism. It was they who became the real backbone of the party, and not the mass who could be swayed one way or the other by propaganda.